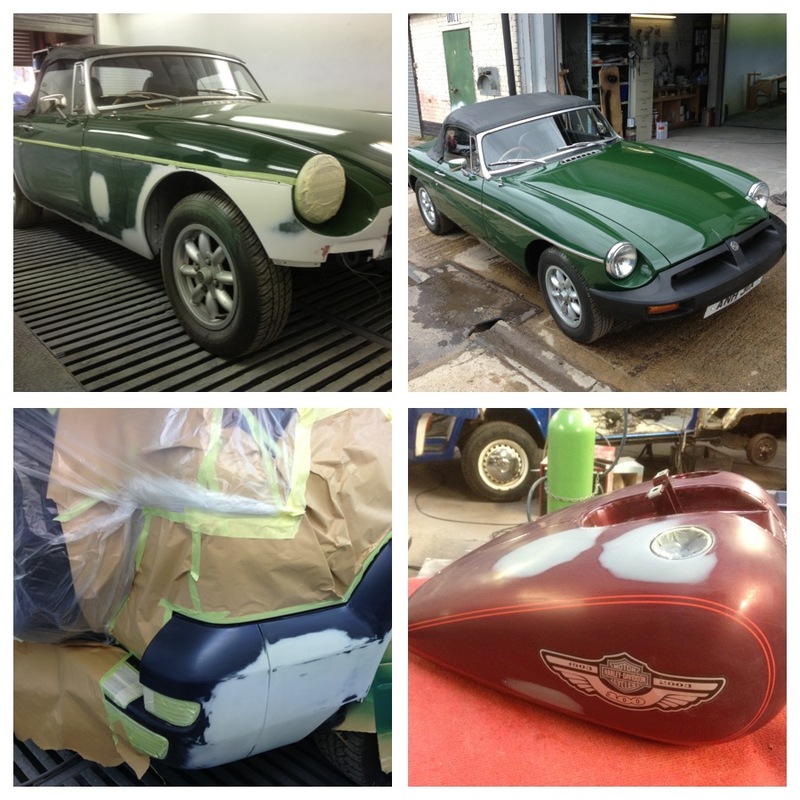 As well as full body repaints and classic restoration we also do small repairs and accident repair including insurance or customer direct repairs. From stonechips, partial resprays and dents to MOT failures and accident repairs we can repair your classic or modern car as required. Have a look at some of the sample pictures below to see the kind of things we can do. 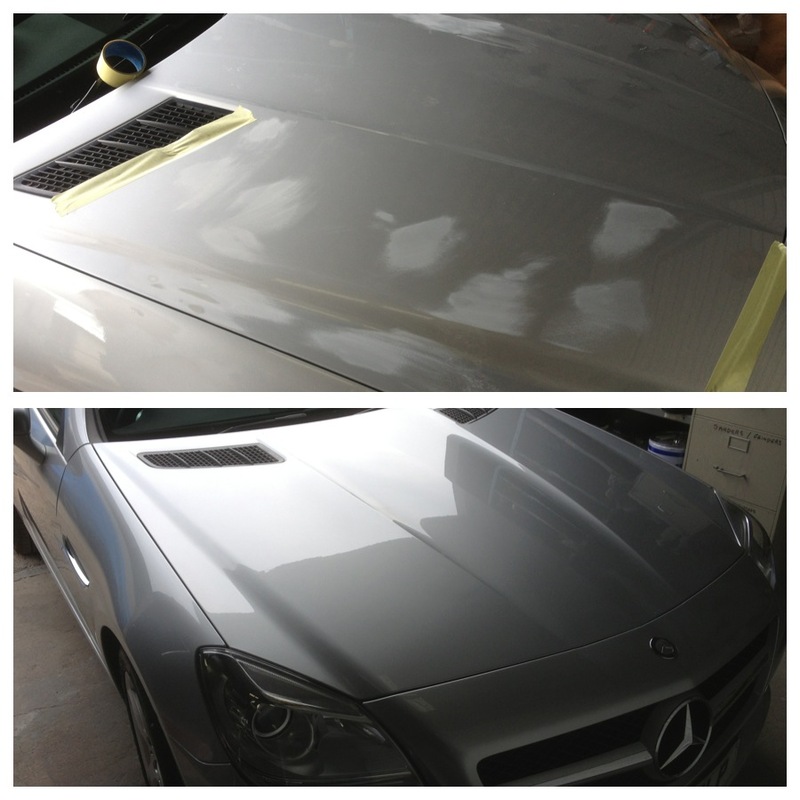 This new Mercedes SLK had server stone chips all over the bonnet and wing top. The stone chips where repaired and the panels repainted. 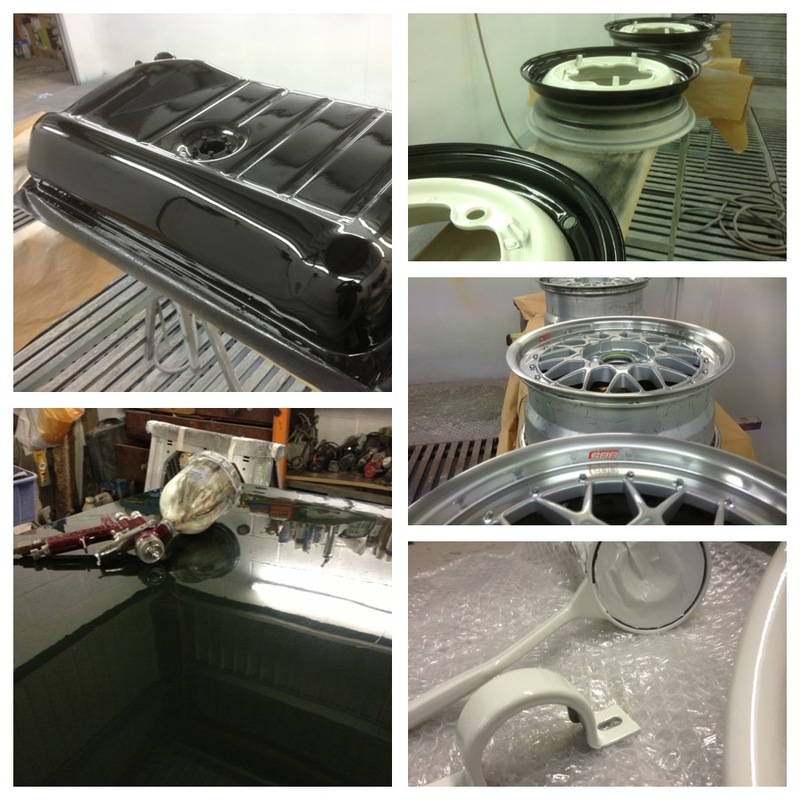 Small car parts painted; We can paint any part from internal trim such as indicator stalks, steering wheels, gear shifts and handles to external parts including wheels (steel or alloy) petrol tanks, bumpers and more… The BMW BBS alloy wheels where polished and lacquered to hold there shine and reduce maintenance regimes. 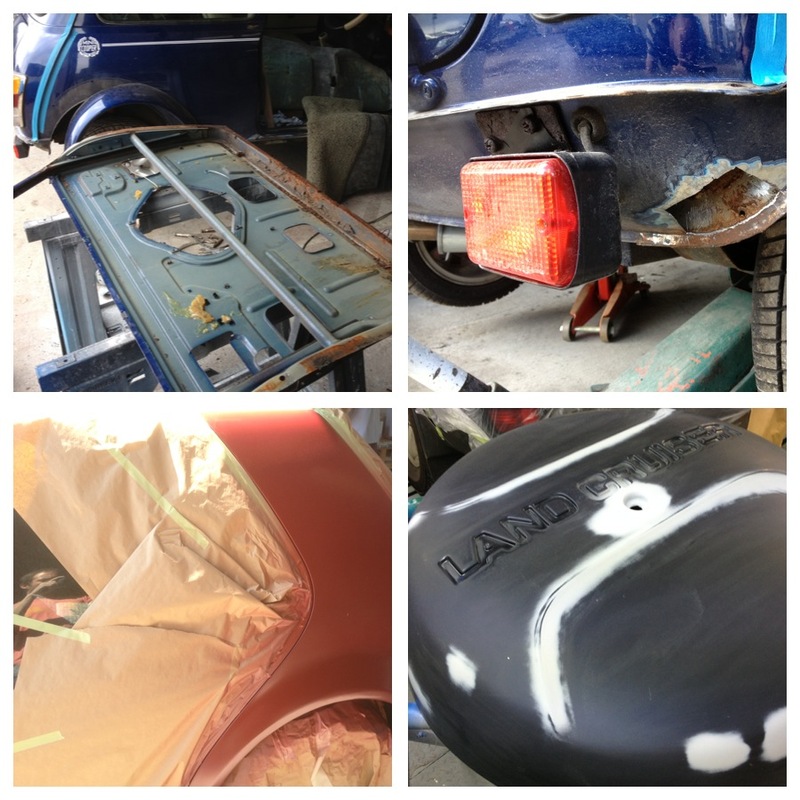 The photo with the spray gun shows a single boot lid in for painting and the level of reflection that can be achieved. Dent repairs; sometimes it is not necessary to buy new panels just because of a dent. 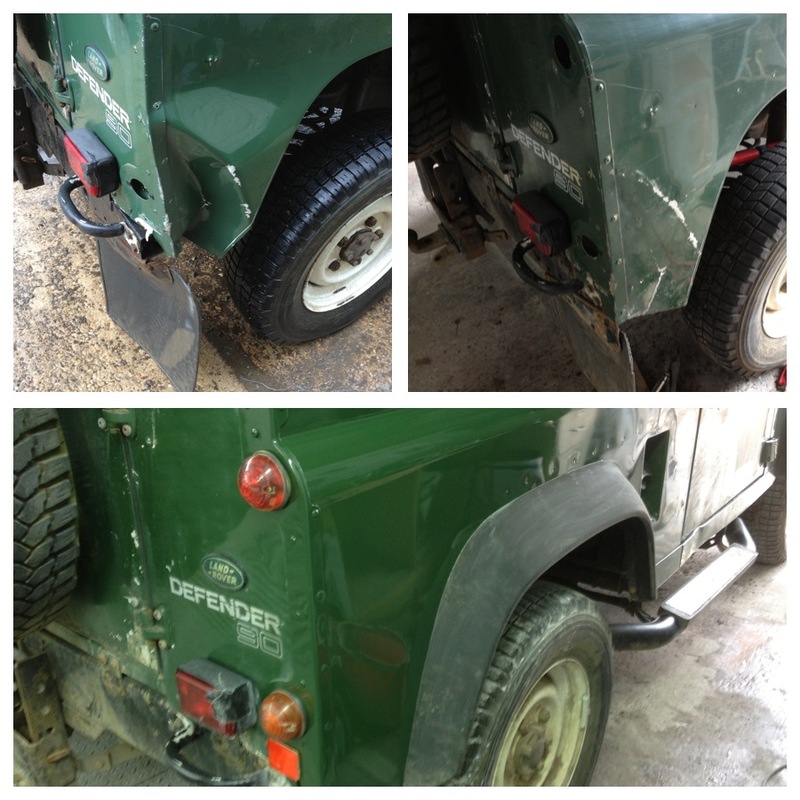 The defender 90 above had the rear corner panel beaten straight and repainted saving hundreds of hours in labour expense. The mini door just needed a small frame repair with new metal and a new door skin to repair like new. the red VW golf quarter panel was painted to remove heavy scratching. The Land cruiser spare wheel cover was snapped off as the lock had seized so we plastic welded it and then painted it to match the car. The MG convertible was showing signs of rust all around the lower half and the paint had become dull all round. we repaired and repainted the lower half of the MG and polished the upper half to match the new lower paint work. The Blue image is a bumper scratch repair inprogress and the final picture in this set is of a Harley Davidson trike tank being repaired and repainted in candy red with original decals intact and new pin stripes marked out.